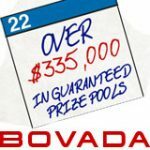 A great selection of New Year's Poker tournaments with over $315K added to the guaranteed prize pools of 12 poker tournaments on New Year's day at Bovada. 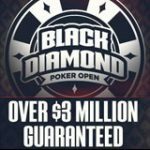 This is an excellent way to complete your poker new year resolutions on the first day of 2015 and increase your bankroll for the rest of the year. 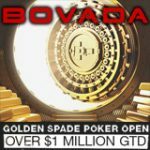 The Bovada Poker New Year's Poker tournaments are schedule every hour from midday till midnight with added cash to the regular prize pools. 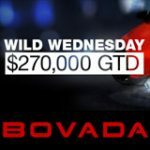 Have a Happy Poker New Year at Bovada with extra cash added to the regular guaranteed poker tournaments, get even more value by qualifying for the New Year's Poker tournaments through the daily satellites which are running now! 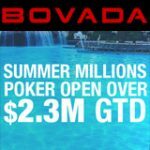 Bovada Poker only accepts new USA players who not located in states where poker is prohibited or regulated, Bovada banned states include: New York, Maryland, New Jersey, Nevada & Delaware. 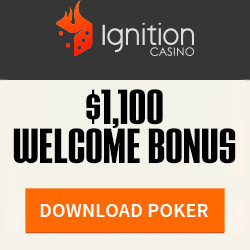 Canadian poker players can participate in the same poker promotions on the Bodog Poker software. 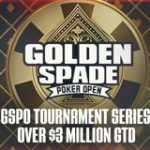 See the full New Year's Poker tournaments schedule for the twelve events taking place on January, 1st. 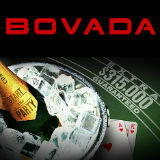 Players can register for the New Year's Poker tournaments by clicking on the Holiday Specials tab in the Bovada Poker lobby.